The trip to the ground started with a meeting with my 'number one fan', Baldie Bruce, who was collecting money for his forthcoming sponsored bike ride from Cambodia to Vietnam to raise funds for the charity Smile for Life which works with disadvantaged and disabled young people in the North East. The man himself is always quick to complement me on the blog and I will never let him forget his description of the blog as "short enough to avoid being boring". Praise indeed from the follicly challenged one. Good luck on the ride, mate! With regards the match itself, today's opponents, Ashington were the veritable bogey team for the Bay. The previous year, Harmison's boys had stuffed the Bay 5-1 and I had forgotten the last time the Bay managed to overcome the visitors. This lack of success had obviously been felt by the lads as they tore into the visitors. Kempster, on the left wing was finding acres of space and made the most of it. So it was, after the lively Brooks had been denied and Robo had shot just wide, that Kempo came up with the goods. In acres of space, he slid the ball towards Robo but both the Bay forward and the Ashington defender keeping him company failed to make contact. So too did the Ashington keeper and the ball bounced untroubled into his net. Which was very nice of him. The only worry for the home fans was when the Ashington number nine collapsed under a challenge from Callum A. The Bay defender looked to be giving his opposite number a hand up and a word of consolation but the visitor didn't seem to take it that way and the next thing we knew there was a push and shove that looked like it could get wuff. Thankfully there was no bookings and the pair seemed to be best of friends...after the game. For the rest of the half, the Bay battered Ashington but failed to extend the score so were disappointed to only be 1-0 up at the break. The majority of the second half is one that Bay fans will want to forget as Ashington turned everything on its head. With four minutes gone, a game of ping pong was ended by Ashington's #3 whose pinpoint shot beat Flynn: who had initially beaten out the first shot. Worse was to follow. The second Bob The Sage had uttered the immortal words "Whitley don't look like they've got going. Ashington were 2-1 up and looking good value for their lead. The Bay really shouldn't have come out for the second half as the normally dependable Flynn sliced his clearance into touch when he had been aiming to set the Bay attack away through the middle. Had something been slipped into the lads' half-time hot chocolate? Whipped cream? Marshmallows....when Nash and Woodie had been formulating their masterplan? It looked to be all over before Flynn came to the Bay's rescue with a fingertip save against Ben Harmison then followed it up with a one-hander to keep the Bay in the game. ....on both sides of the pitch. 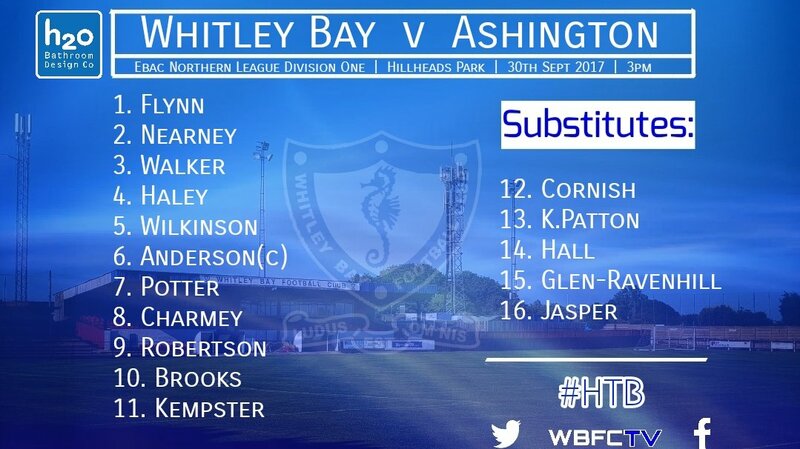 The rain finally stopped and suddenly the Ashington defence were on the back foot thanks to the introduction of supersubs Cornish and KP. Final score 2-2 and a big sigh of relief for the home fans.